In a comment on Facebook to my blog post, someone pointed me to a fascinating systematic review of the dogma of several religions with respect to vaccines and specific components of vaccines. The article was published in the highly respected and peer-reviewed medical journal, Vaccine, one of the top venues for vaccine research. This peer-reviewed piece was penned by John D Grabenstein, a religious expert on vaccines who happens to be employed by Merck, a major manufacturer of vaccines. Grabenstein’s article is a review of religion and vaccines, and it was peer-reviewed by others (see Note 1). In the next section, I summarize the study’s information about religion and vaccination – specifically regarding the teachings of many of these religions. If you run across someone claiming that their religion is against vaccinations, you can check here, although, admittedly, the article only covers mainstream religions. Amish. One of the enduring myths of the vaccine deniers is that Amish communities do not get vaccinated. However, there is no prohibition against vaccines by the Amish church, and vaccination rates vary between different communities. And leaders of communities that get hit by a vaccine-preventable disease outbreak are more often accepting of immunization. Buddhism. Around 1022-1063 CE, a written account described how a Buddhist nun used the process called variolation, which is a form of inoculation. In this case, she ground up smallpox scabs then put it in the nose of non-immune individuals, an early form of nasal vaccines I suppose. The 14th Dalai Lama, the current incumbent, was involved in a polio vaccination program. There are no religious texts or doctrine that oppose vaccines, and predominantly Buddhist countries are rather pro-vaccination. Christians. According to Grabenstein, most Christian churches have no specific scriptural or canonical objection to the use of vaccines. He included the following Christian churches in the list: Roman Catholicism, Eastern Orthodox and Oriental Orthodox Churches, Amish, Anglican, Baptist, the Church of Jesus Christ of Latter-day Saints (LDS), Congregational, Episcopalian, Lutheran, Methodist (including African Methodist Episcopal), Pentecostal, Presbyterian, and Seventh-Day Adventist Church. Roman Catholics and some other denominations have expressed concerns about the aborted fetal tissues used in manufacturing some vaccines, although this concern has never included a formal restriction, by doctrine, of vaccination. Christian Scientists (or more formally, Church of Christ, Scientist). Christian Scientists fundamentally believe that diseases are not real, and can be healed with a focused prayer from one of their “practitioners.” Ironically, Christian Scientists do not have rules against vaccination, but it’s often recommended that they pray to be rid of any bad effects of the vaccine. Since Christian Scientist “medical practitioners” lack knowledge of many rare vaccine-preventable diseases, it can spread through one of their communities fairly quickly. In those cases, traditionally, the church accepts vaccination of their adherents. Dutch Reformed Church. Members of this church have had a tradition of refusing vaccines going as far back as the early vaccinations for smallpox in the early 1800’s. Most of this early vaccine refusal was because of the observed adverse events with the vaccines of that era (yeah, it’s an ongoing issue for vaccine deniers), although it has evolved into the formal belief that vaccines interfere with the relationship with their god. Because of this vaccine refusal, there have been paralytic poliomyelitis, measles, congenital rubella syndrome, and mumps outbreaks. In 2013, a major outbreak of measles hit a Dutch Reformed community in the Netherlands, with 1226 reported cases. Of the 1,226 cases, 176 (14.4%) had complications including encephalitis (1 case), pneumonia (90 cases) and otitis media (66 cases) and 82 (6.7%) were admitted to the hospital, which should debunk that belief that measles isn’t a serious disease. Islam. Muslims are prohibited from consuming pork, much like Jews. And much like Jewish authorities making broad exceptions to their dietary laws for vaccinations because of their lifesaving value. It is based on the “law of necessity” in Islamic jurisprudence: “That which is necessary makes the forbidden permissible” in exceptional circumstances. 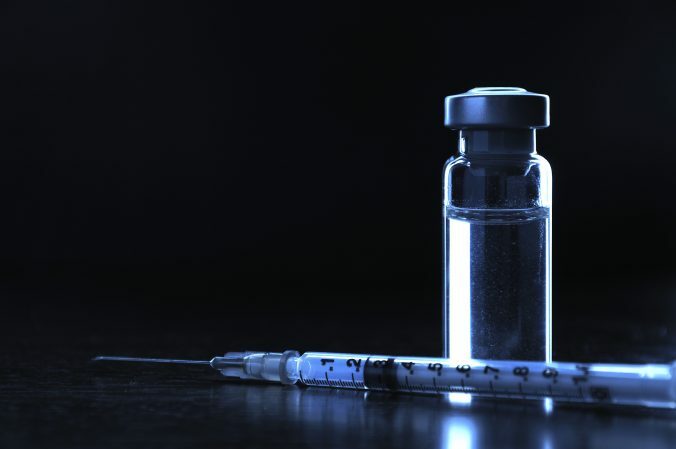 Numerous Islamic authorities and medical scholars agree that many immunizations are obligatory, when the disease risk is high, far outweighing any risk from the vaccine. As opposed to many churches, Islam seems to endorse vaccines rather than just not be opposed to them. Jainism. A small religion with just a small number (around 5-6 million) of adherents in a few countries. The author probably included them because of their strong belief in non-violence, which even makes it difficult for them to take antibiotics, which kill microorganisms. However, they have a strong tradition of allowing violent self-defense so that humans can survive (like killing animals for food, or vaccines causing the immune system to kill microorganisms), so vaccinations have never been prohibited by the religion. In the world’s developed countries, new vaccines dramatically decreased the toll of measles, mumps, and German measles. A mass polio vaccination campaign, launched in 1955, was so successful that cases of the disease in Western Europe and North America plummeted from 76,000 in that year to fewer than 1,000 in 1967. Smallpox, a major killer disease, was eradicated worldwide. Latter Day Saints (Mormons). The LDS church has stated fairly clearly that it supports the use of vaccines to eliminate preventable infectious diseases in children. In addition, LDS missionaries are sent all over the world, and they are all fully vaccinated before they leave on their missions. Sikhs. Sikhism, the world’s fifth largest religion which arose in the Indian subcontinent, has no rules about vaccines. A study from the University of Michigan showed that Sikh children in India are much more likely to be vaccinated than other children in the area. This covers almost all of the mainstream religions. And aside from the Dutch Reformed Church, there does not appear to be a formal antivaccine doctrine in any of the major religions around the world. When someone makes a claim that their religion is opposed to vaccines, I become suspicious that it is just a smokescreen for a personal refusal of vaccinations, irrespective of actual religious doctrine. Interestingly, Islamic teaching states that “God (Allah) doesn’t make a disease without a cure.” Although there are many diseases without cures (which I believe is just a result of not enough time and research to discover said cure), I find this particular religious doctrine satisfying, as far as vaccines go. Immunization against possible or future occurrences of diseases does not contravene our faith in the Unseen (ghayb) as an exclusive knowledge of Allah. As believers, we are fully convinced that matters of the Unseen are known only by Allah. At the same time, Islam teaches us that we must plan and prepare ourselves for contingencies and presumed harm based on our understanding of being Sunnat-ullah (laws of Allah) in creation. Therefore, taking all necessary precautions to prevent presumed harm or diseases is perfectly in the permissible limits of the Shari`ah. If one still needs to be convinced, we may refer to the story of Prophet Yusuf (peace and blessings be upon him) who, as an economic planner, prepared in advance for the future by introducing wise and accurate strategy. Compared to the nonsense spouted by some people who have no clue about what religions say about vaccines, the Islamic statements about vaccines is refreshing. Grabenstein’s meta-review of religious beliefs about vaccines uncover a major problem in the whole “religious exemption” to vaccines scam. If you cherry-picked information about any religion, you could probably make a convincing argument that the religion is opposed to vaccinations. One ultra-orthodox sect of Judaism is very opposed to vaccines, but it is so far out of the mainstream Judaism, that I sincerely doubt any children in the sect would be going to a regular public school. What if a parent makes a claim that they are Jewish, and one rabbi says that vaccines are bad? Are we expecting a school administrator to ascertain the validity of their religion, or whether they actually adhere to that ultra-orthodox sect? Or to spend time investigating whether a parent is representing a “real” religion (in my worldview, all religions are equally bogus) or some made-up version of some unknown religion? One could argue that we don’t let a school administrator make that decision and that they should just accept the claims of the parent. But that breaks down the system of protecting children through vaccination. If I were making the decision, all exemptions, personal or religious, would be immediately placed in abeyance or completely ended. Either vaccinate your children (unless there is a very strong case of the necessity of a medical exemption) or find a private school that doesn’t demand vaccinations (if you can find one). Or another choice is to homeschool your child, but if he wants to go to college or to join a profession in healthcare, most colleges and training programs absolutely require vaccinations. Try becoming a physician without every vaccination – you can’t even enter medical school without meeting the “mandatory vaccination” standard. And there are rarely, if ever, personal belief exemptions. The abuse of religious exemptions to vaccines is not supported by actual reviews of religion and vaccinations. It clearly shows that the major religions of the world all consider vaccines to be supported by the moral teachings of these religions. I don’t usually point out these potential conflicts of interest, because I firmly reject the Big Pharma Shill Gambit, which is a form of poisoning the well, that is, discrediting someone by making a nefarious link between a researcher and a pharmaceutical company. If you’re going to make some nonsense personal attack on Grabenstein’s character in the comments here based on his employment at Merck, it better be supported by legal documents or some other evidence, or I will mock you mercilessly. And I will enjoy every minute of the mockery. Editor’s note: This article was originally published in January 2014. The article has been updated to fix some broken links, improve formatting, and to clean up some unclear language. There were also extensive additions to the section on the Islamic faith and vaccines. There was also an addition for the LDS church and Sikhism. Grabenstein JD. What the world’s religions teach, applied to vaccines and immune globulins. Vaccine. 2013 Apr 12;31(16):2011-23. doi: 10.1016/j.vaccine.2013.02.026. Epub 2013 Feb 26. PubMed PMID: 23499565. Knol M, Urbanus A, Swart E, Mollema L, Ruijs W, van Binnendijk R, Te Wierik M, de Melker H, Timen A, Hahne S. Large ongoing measles outbreak in a religious community in the Netherlands since May 2013. Euro Surveill. 2013 Sep 5;18(36):pii=20580. PubMed PMID: 24079377. Shrivastwa N, Gillespie BW, Kolenic GE, Lepkowski JM, Boulton ML. Predictors of vaccination in India for children aged 12-36 months. Vaccine. 2015 Nov 27;33 Suppl 4:D99-105. doi: 10.1016/j.vaccine.2015.09.034. PubMed PMID: 26615176.